UPDATE — VATICAN CITY (CNS) — Saying he no longer has the strength to exercise ministry over the universal church, Pope Benedict XVI announced Feb. 11 that he would be resigning at the end of the month after an eight-year pontificate. Pope Benedict XVI waves to pilgrims after a 2006 Mass on Islinger Field near Regensburg, Germany. “After having repeatedly examined my conscience before God, I have come to the certainty that my strengths, due to an advanced age, are no longer suited to an adequate exercise of the Petrine ministry,” the pope told cardinals gathered for an ordinary public consistory to approve the canonization of new saints. Pope Benedict, who was elected in April 2005, will be the first pope to resign in more than 600 years. Jesuit Father Lombardi, Vatican spokesman, told journalists at a briefing that the pope’s decision was not prompted by any medical illness, but was due to a natural “decline of strength” associated with old age. Even though the announcement had caught almost everybody by surprise, it was not a snap decision, but rather one that “had matured over the past few months,” Father Lombardi said. The pope made his announcement in Latin from a pre-written text during a morning ordinary public consistory where a large number of cardinals were present. When he delivered his announcement, the pope seemed very “composed, concentrated” and read “in a solemn manner” in keeping with the importance of what he was saying, Father Lombardi said. It is up to the dean of the College of Cardinals, Cardinal Angelo Sodano, to make preparations for a conclave to elect a new pope. Father Lombardi said after the pope steps down, he will move to the papal villa in Castel Gandolfo outside of Rome. He will stay there until the renovation is completed of a cloister, set up by Blessed John Paul II, which is located inside the Vatican Gardens, he said. The pope will then live in the cloister, called the Mater Ecclesia monastery, and dedicate his time to prayer and reflection, the Vatican spokesman said. It was likely the pope would keep writing, he added, since the pope has mentioned many times that he has wanted to spend more time dedicated to study and prayer. When asked if there would be any confusion over leadership or a schism were a possibility, Father Lombardi said he believes the pope “had no fear of this” happening because he clearly demonstrated his desire to step down and no longer be pope or retain any papal authority. “I think in no way is there any risk of confusion or division” in this respect, he said. The pope, who is past the age allowed a cardinal to vote for a new pope, will obviously not be part of the conclave that will convene to elect his successor, he added. He is not likely to play any role in the “interregnum” or time between popes because “there is no role for a predecessor pope” during this period, the priest said. The Jesuit priest said a “sede vacante” usually lasts less than a month, and that it was more than likely a new pope would be elected in time to lead the full schedule of Holy Week and Easter liturgies. However, it was obvious that his decision was based on a “great affection” for the well-being of the church, the cardinal said. Father Lombardi said being a pope today is “much more fast-moving, more demanding” than it was in the past with an almost nonstop full schedule of public and private events and liturgical celebrations. 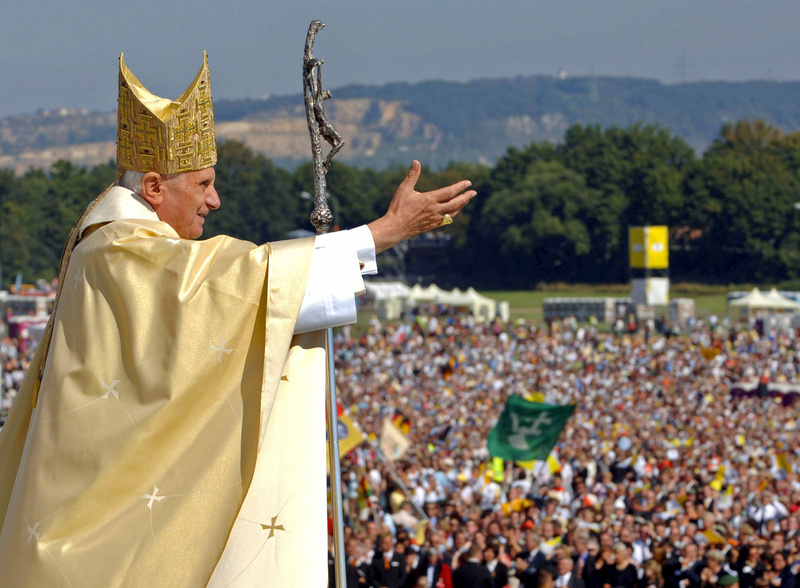 When asked why the pope chose Feb. 11, the feast of Our Lady of Lourdes, as the day to announce his stepping down, Father Lombardi said most likely the date was a coincidence, and that the pope instead chose an event — the ordinary public consistory — where a large number of cardinals would be present. “The pope chose this significant occasion with the gathered cardinals” as the best moment to announce his plans, the Vatican spokesman said. When asked whether the pope had any medical illnesses or bouts of depression that may have prompted his resignation, Father Lombardi said the pope was “absolutely not” depressed and possessed a remarkable “spiritual serenity” and composure despite the many difficult moments he has had to face as pope. The Vatican spokesman also said he was not aware of any medical illness that would have caused the pope to step down, rather it was due to a “normal” deterioration of physical and mental strength that comes with old age. The pope has increasingly had trouble walking in the past year, often using a cane and always being assisted getting up and down steps. However, the Vatican has never released medical information that would make it appear the pope suffers from anything other than joint pain connected to his age. The option of a pope to resign is explicitly written into the Code of Canon Law. It says a pope may step down, but stipulates that the decision must be made freely and “duly manifested.” No one needs to formally accept a pope’s resignation for it to be valid. 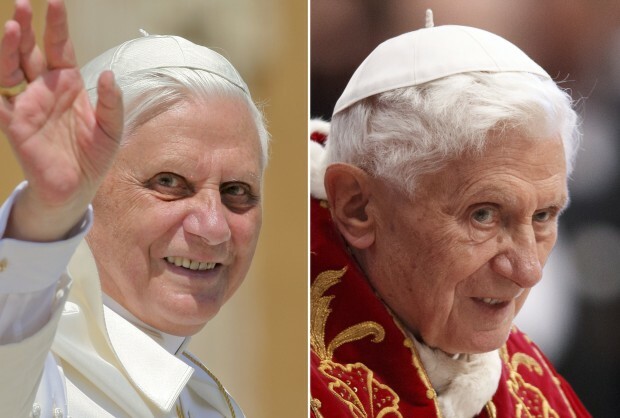 Pope Benedict had long said it would be appropriate for a pope to resign for the good of the church if the pontiff felt he were unable to physically bear the burden of the papacy. The pope told the author that it was important, however, that the pope “must not run away” and “must stand fast and endure” any difficult situations that are facing the church. For that reason, he was not thinking of resigning in 2010 — the year the interviews were conducted. “One can resign at a peaceful moment or when one simply cannot go on,” the pope had said. Father Lombardi said he felt “great admiration” for the pope’s “great courage” and “freedom of spirit” in making this decision. The spokesman said it shows the pope is not only fully aware of the great responsibilities involved in leading the universal church, but his hopes that “the ministry of the church be carried out the best way” possible. I was very surprised when I heard the news. These are fascinating events. Even more interesting will be Benedict’s successor. I hope His Holiness gets the rest and peace he needs and deserves. This is like Nixon resigning the Presidency. The move is rare but possible under Canon Law. The Church will go on just as the US Federal Government went on.